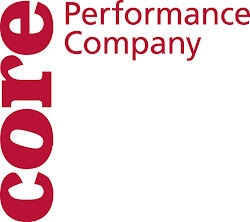 CORE Performance Company: Preparing For Houston! Our main focus today is work on the Bayou City Arts Festival in Memorial park in Houston. We are creating site specific and event specific adventures for moving through the park on Friday, Saturday and Sunday. We often use this festival as an opportunity to take whatever processes we are currently working on and turn them on their heads. Each dancer is the 'Ogre' or lead choreographer on a section drawing from recent choreography in 'The Point', and the Forsyth improvisation technologies we sweated over with JHon Stronks in 'The moment between' except we are exploring color instead of white. "The Unstable Nature of Color" is the title for the work at Bayou City. We are already inspired by the work of Carlos Cruz Diez that is now showing at the Museum of Fine Arts Houston. This is also a live laboratory lead in (say that 5 times fast) for our upcoming performance in May at the Museum in and around the work of Carlos Cruz Diez.